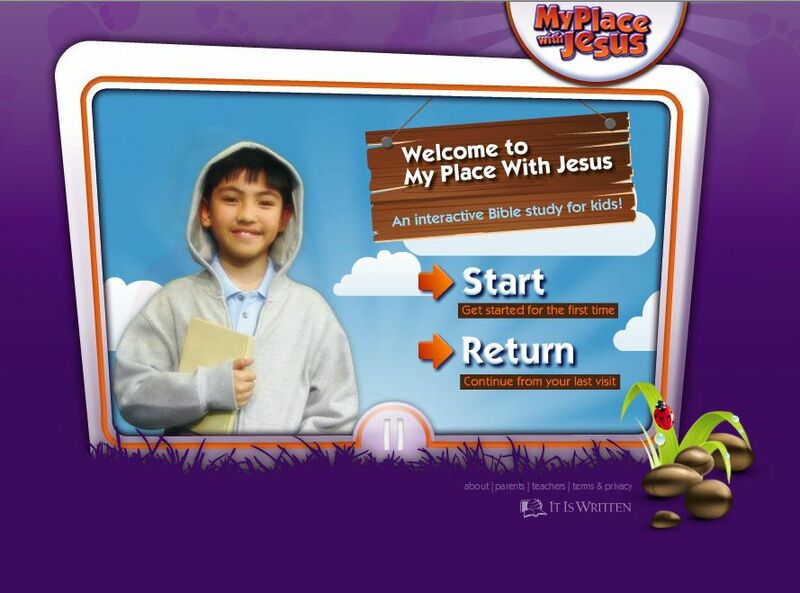 My Place With Jesus is a series of Internet based, interactive Bible studies just for kids! These 14 studies take the participant through many of the basic themes of the Christian faith. The lessons cover such topics as Creation, the Trinity and Heaven. These Bible lessons are designed primarily for children aged 7 – 12. However, with your help, much younger children will benefit from and enjoy the lessons also. This makes these lessons a valuable resource for the entire family. Please rest assured that My Place With Jesus is a safe place for your child to visit. We have taken great pains to collect as little information as possible, and no personal identifying information, from you or your child. Please be sure to follow the directions when logging on to carefully protect your privacy. If, at the end of the lessons, your child chooses to be in contact with us, we will not gather any personal information without your express parental authorization first. At no time during these 14 lessons will anyone ever chat with your child, or be in contact with them in any other way. My Place With Jesus is a ministry of It Is Written. This website is always free of any fees or charges. It is open to all children of any age, nationality or religion. We pray that you will enjoy this journey as much as your child will!